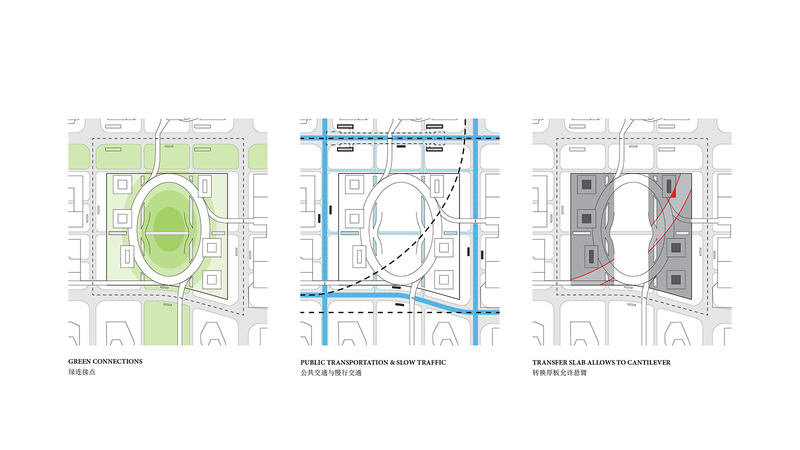 The fast development of Qianhai demands a clear plan where various city centers would be promoted as platforms interacting with it’s surroundings. They should be clearly advertised as the most prestigious element in the area not only by it’s form but by the way they would perform. 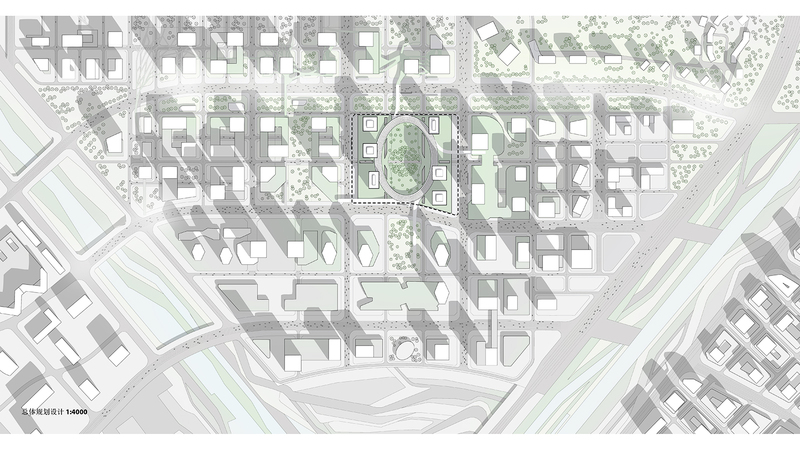 Thus in our project we propose a hybrid structure which has all the benefits of a distinctive and pleasant for the inhabitants and workers natural environment together with a multilayered pedestrian communication platform, which also acts as a transportation hub. 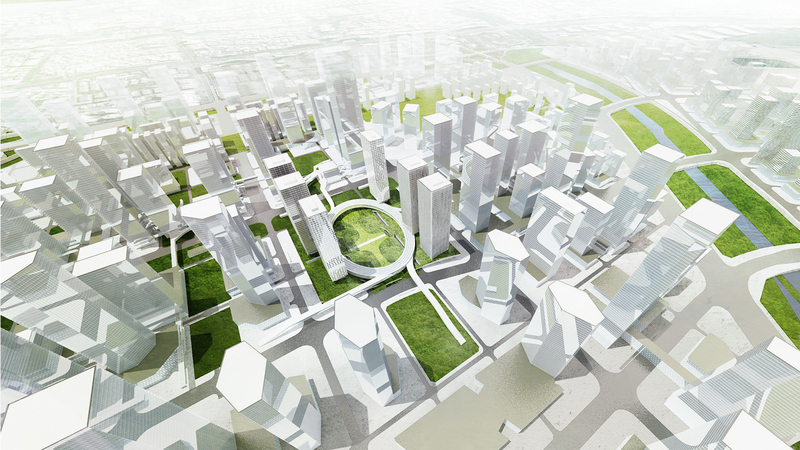 The whole site would be treated as a green plaza evoking the form of the neighboring hills and mountains in the region, where a continuous transfer slab would cover it’s surface liberating the arrangement of the buildings positioned on top of it and the land restricting conditions with subway construction requirements. 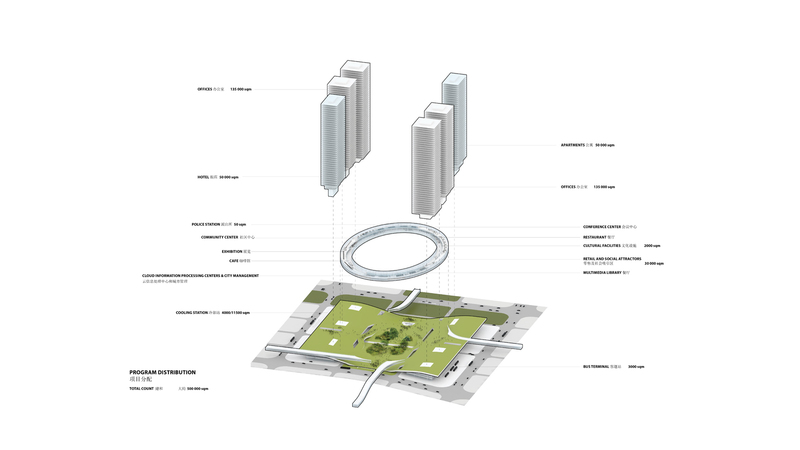 Between them, in the center of the site would hover the regional core public space integrating the surrounding architecture as a whole. It would consist of a ring which is the most natural and efficient form for an exchange in the multiple directions. 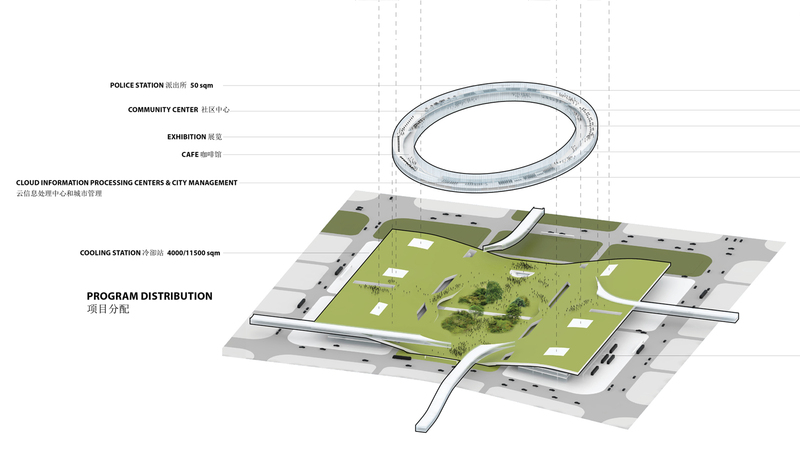 The infiltration and connection of the open space would be therefore strengthen to improve the human interaction and participation. With activities and social attractors positioned inside the ring structure, a people oriented friendly community relationships, based on the exchange of knowledge and experiences, would be created. 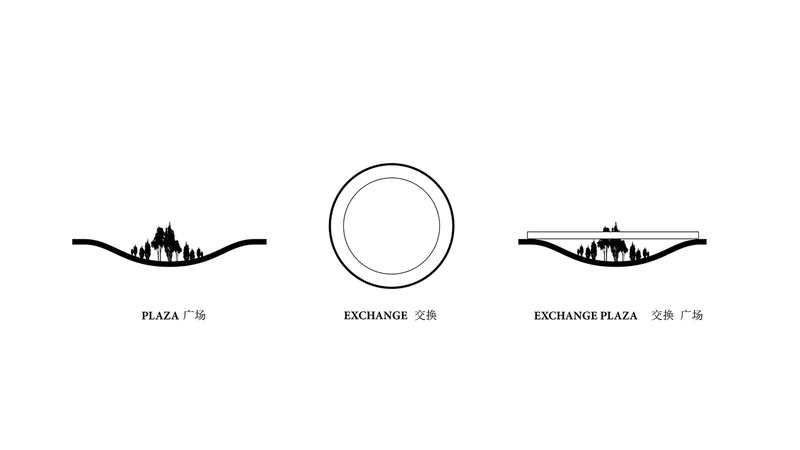 Together with the plaza it would establish a vibrant urban park space with a special micro climate in the Gui Bay area, which provides a sense of diversity thanks to different height levels of the terrain and types of vegetation. 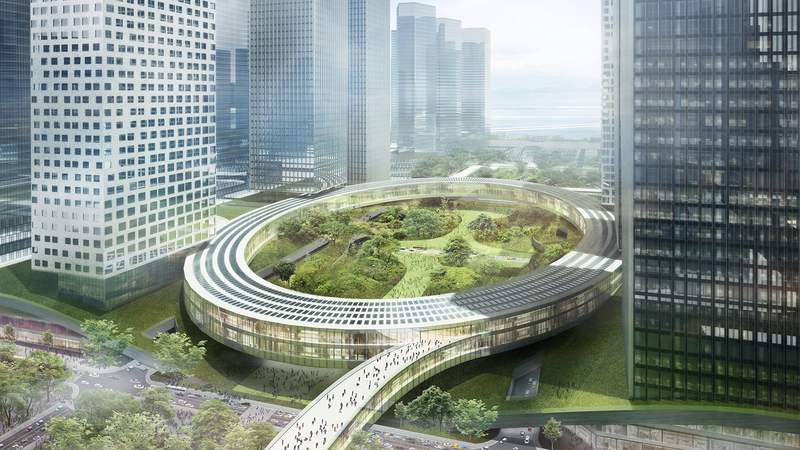 To reinforce open space natural ventilation it would be connected with the adjacent green axis. 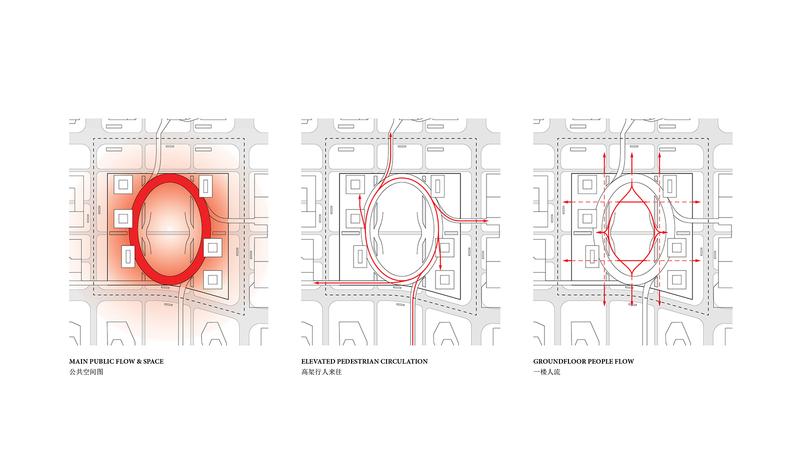 Surrounded by a heavy traffic, the plaza would promote internal slow traffic and would maximize the pedestrian flow. Ground floor and upper levels pedestrian connections with other city quarters, would be activated with the streamlined hanging green bridges. 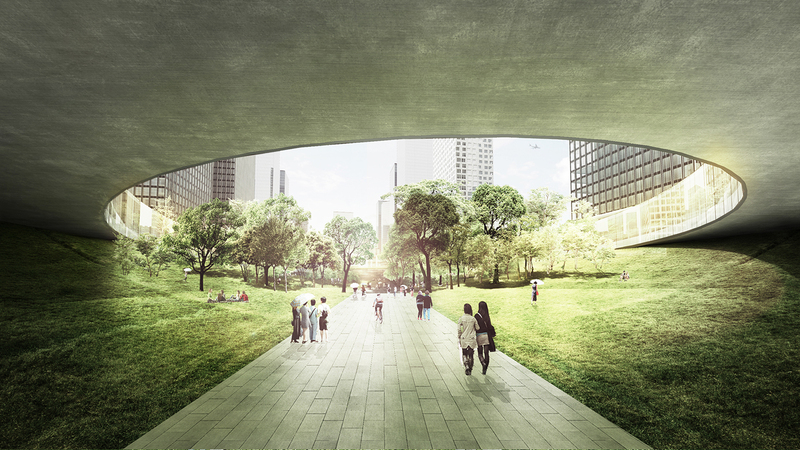 Underground space would merge with the ambient above, offering a generous opening in the center of the plaza which leads to multiple lower green levels. 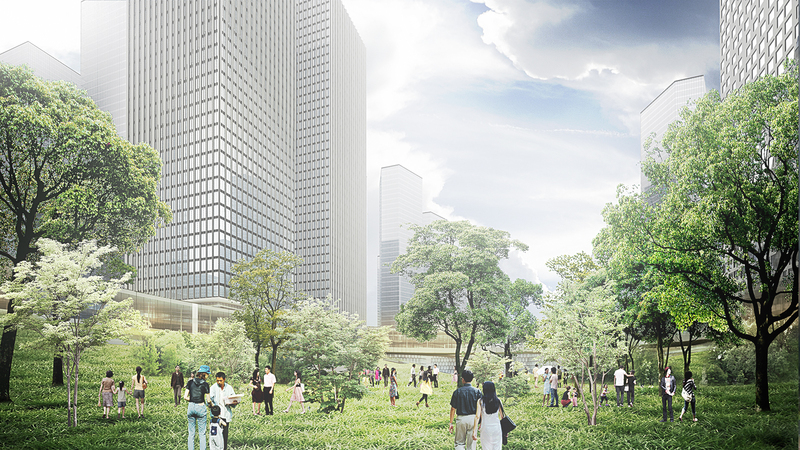 The rich image of this city space would be visible already from a distance with the diverse design of the towers’ facades which surround the exchange plaza.